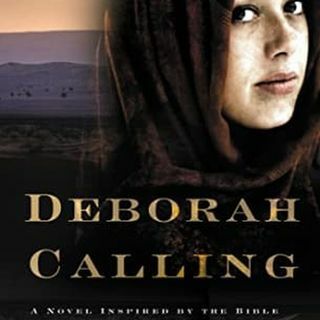 Live Interview with Author Avraham Azrieli "Deborah Calling"
“Deborah Calling” is the second novel in the “Deborah Rising” series, an inspiring historical adventure about the first woman to lead a nation in human history. In the tradition of The Red Tent, The Fifth Mountain, and The Alchemist, this absorbing novel delivers an inspiring story of suspense and adventure in pursuit of freedom and self-determination, starring a courageous young woman on her way to becoming the most powerful female leader in the ancient world. “A stunning historical epic ... See More journey.” Urban Lit Magazine. “A perfect read for Bible and history enthusiasts. Riveting!” US Review of Books. “Deborah, for all the tragedies she has endured, continues to survive while never losing faith. A seductive saga-peopled with a fascinating array of characters.” Bookpleasures. “This enthralling story gives the reader an amazing insight into what life was really like for women at a fascinating time in history. I found this book absolutely absorbing and highly recommend it.” The English Informer. “Believable and engrossing--chronicling the life of one of the Bible’s and history’s greatest women. Captivating!” Pacific Book Review. “The story of this young woman has moved me emotionally, spiritually, and has inspired me. Highly Intriguing.” Hollywood Book Reviews. Author Bio: Avraham is a graduate of Columbia Law School and the author of twelve books, including The Masada Complex (a political thriller), The Jerusalem Inception and The Jerusalem Assassin (spy novels involving Israel), Christmas for Joshua (a family drama dealing with interfaith conflicts), The Mormon Candidate (a political thriller), Thump (a courtroom drama featuring sexual harassment and racism) and The Bootstrap Ultimatum (a mystery involving the commercialization of Memorial Day). He also authored Your Lawyer on a Short Leash (a guide to dealing with lawyers) and One Step Ahead – A Mother of Seven Escaping Hitler’s Claws (a WWII biography, which inspired the musical By Wheel and by Wing). Avraham grew up in Israel, where he received extensive Talmudic education, served as an intelligence officer and, after attending law school, clerked for the Israeli Supreme Court in Jerusalem. Residing primarily in the United States since 1990, he currently lives near Washington DC with his wife and children.